When you catch your target species simply lay the live fish with the nose in line with the “0” (zero) measurement on the Pirtek bragmat. Photograph the fish so the entire length can be seen in the photograph along with your angler number. Remember to write your angler number CLEARLY in the white box provided on the brag mat. When photographing your fish on the mat the dorsal fin must point towards the top of the brag mat. Any photographs submitted with fish belly towards the top of the mat will not be accepted. Flat fish are to be photographed belly down on the mat. The dorsal fin MUST go to the top of the brag mat and the nose to the ‘0’ measurement (flat fish belly down on the mat), if it does not your entry will be excluded from the competition. 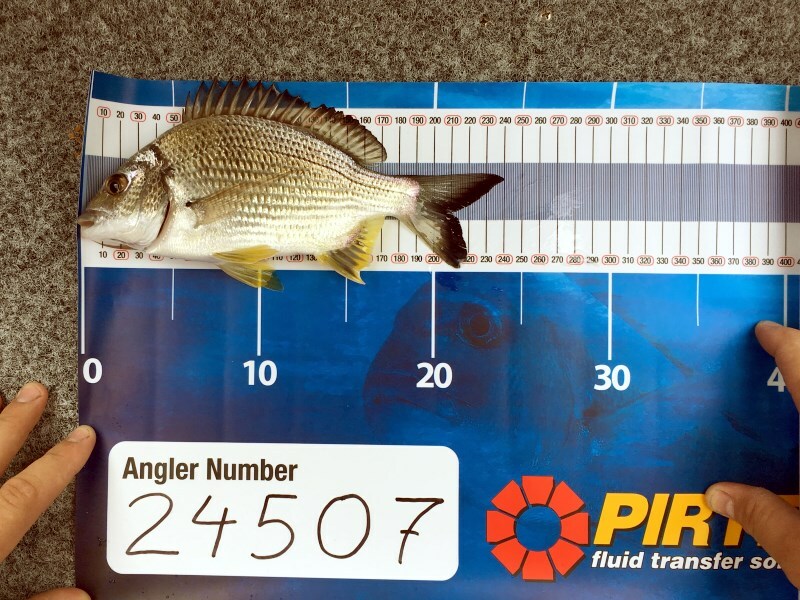 Check your photograph to ensure the whole fish is in the photograph and the nose end of the fish is in line with the “0” (zero) measurement and the overall length along with the angler number is clearly visible. If you are not happy with the photograph, simply take another one. Quickly release the fish and try to catch a bigger one. Only a fish caught by the registered angler can be entered. Any photograph that shows a fish not alive or damaged will not be accepted. Any photograph which has undergone digital manipulation, ie, photoshop, will be disqualified. You can only upload one photograph per angler to the website. This needs to be your biggest fish. If you are a late entry and you do not receive your brag mat in time for the Challenge you may use a Fisheries style measuring sticker with your angler number clearly written on a piece of white cardboard. For more information, check the Your Challenge page, and the full competition rules are detailed on the Terms and Conditions page.